The last thing you want during your Smoky Mountain vacation is to feel cramped or crowded. Hotel rooms are small and offer little to no privacy. 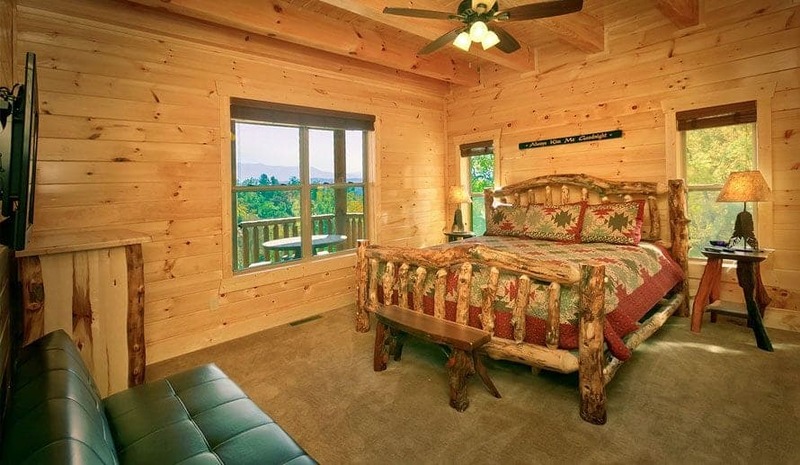 Our 4 bedroom cabins for rent in Pigeon Forge TN sleep from 10 to 16 people and have all the room that you’ll need to relax and feel right at home. 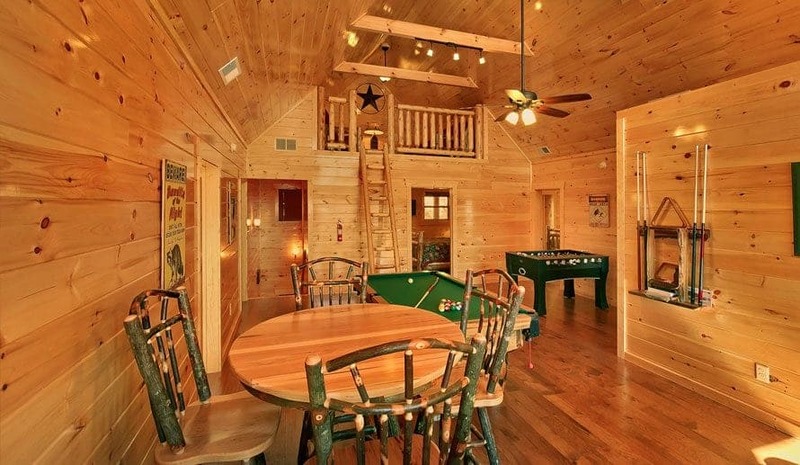 With huge living rooms and spacious decks, our cabins have plenty of space for your whole group to gather around and spend time playing games, telling stories and making memories, and when you need some quiet time, you’ll love having a private bedroom to use as your personal retreat. After a stay in our cabins, we bet you’ll never want to stay in a hotel again! 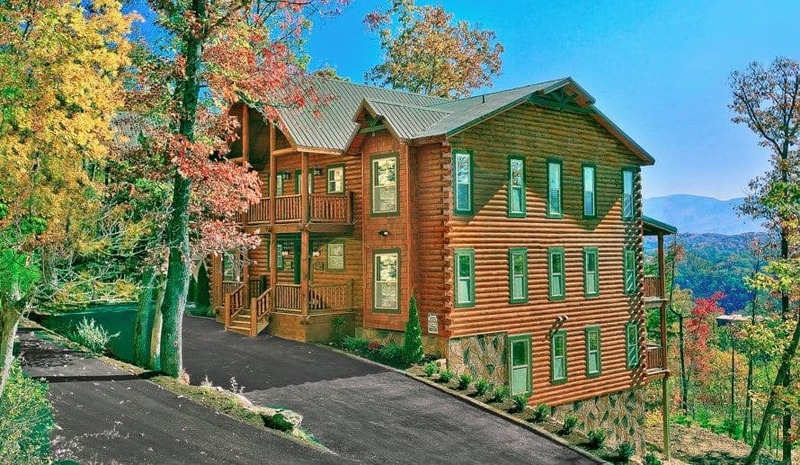 Another fabulous reason to choose our 4 bedroom cabins for rent in Pigeon Forge TN is that they are conveniently located near dozens of the most popular Smoky Mountain attractions. We know that vacations are short enough as it is, and you don’t want to spend too much time in your car driving to attractions. When you stay with us, you’ll be only a short drive away from Dollywood, WonderWorks, Nascar Speedpark and dozens of other places that your family will love! Pigeon Forge TN is bursting with fun museums, a world class aquarium, delicious restaurants, entertaining theater shows and lots of other great attractions to keep your family having a blast! 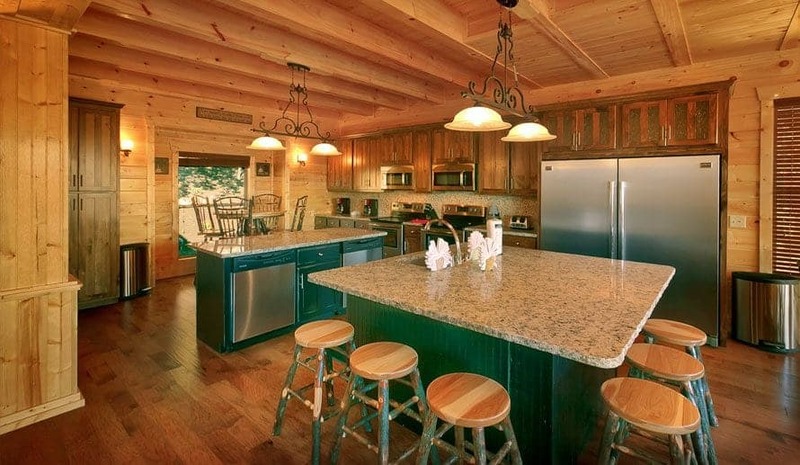 One of our favorite aspects of our 4 bedroom cabins for rent in Pigeon Forge TN is the amazing outdoor amenities that are available to you during your stay. The main reason why millions of people vacation in the Smokies each year is to experience the beauty of the mountains, and our outdoor areas make it easy and comfortable to take in the surrounding nature. Our open-air outdoor pavilions are the perfect place to enjoy a meal with your family, take in the panoramic mountain views or even host a high school reunion! 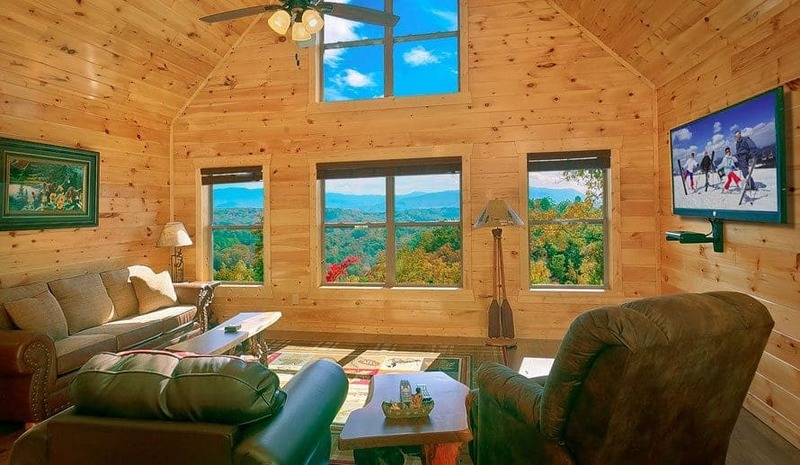 There’s no better place to connect with friends and family than surrounded by the beauty of the Smokies. Our seasonal outdoor pools are the perfect place to cool down on a hot summer day. Whether you lay poolside on one of our comfortable lounge chairs or splash around in the cool water, a day at the pool is one of our favorite ways to relax. When it’s too hot or a little too chilly to enjoy our beautiful outdoor amenities, we have plenty of luxurious indoor amenities to keep you occupied. 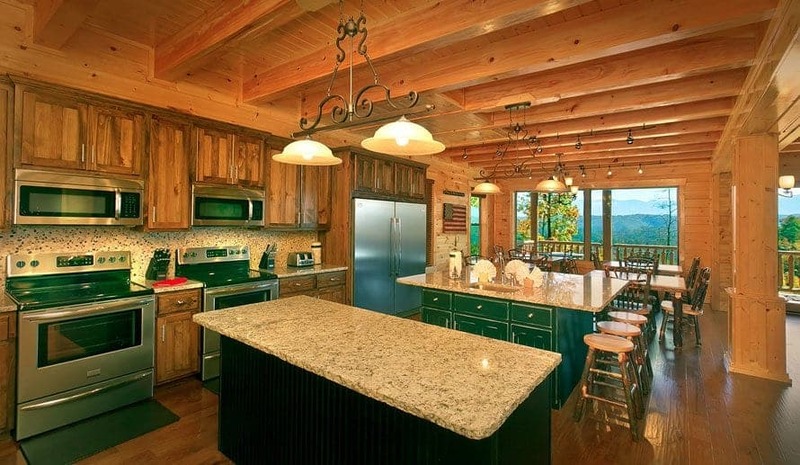 Our 4 bedroom cabins for rent in Pigeon Forge TN are not only equipped with all the necessities like large, comfortable beds, high speed wireless internet and large kitchens, but they’re also decked out with all the greatest extras like big screen TVs, fireplaces, hot tubs, pool tables and indoor jacuzzis! Some of our cabins even have heated indoor swimming pools! We bet you’ll have such a wonderful time that you will make this Smoky Mountain vacation a yearly tradition! 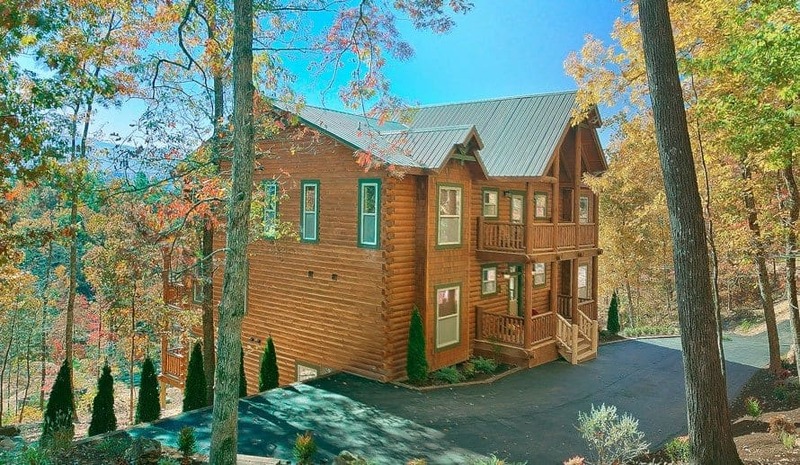 Book your 4 bedroom cabin for rent in Pigeon Forge TN today, and start planning for the vacation of a lifetime!